Click Image to Enlarge Our top-selling Adirondack Chair features a sculpted seat, and curved back slats for maximum comfort! It is made entirely out of 5/4 Western Red Cedar. The parts are held firmly in place using 1 3/4" stainless steel fasteners, and special, elasticized polyurethane adhesive, to keep the chair rigid, even when put through -40 to 120 degree temperature. We use Western Red Cedar as our feedstock. It is light, the resin is poisonous to insects, and the Species features an extremely high thermal factor. Western Red Cedar has 80% of the tensile strength of Oak, and is pound-for-pound stronger than steel! 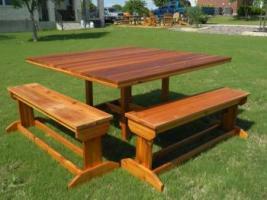 Western Red Cedar is also an appearance-grade wood. When properly coated with Sikkens Cetol, Tung Oil or quality stain, the grains stand out, providing high aesthetic appeal, and and long-lasting durability - even under severe conditions. 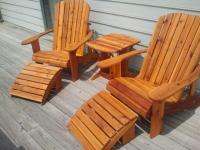 It is not uncommon for a properly finished Adirondack Chair to last 100 years, there are many in existence to prove it. Naturally, these furniture pieces often become family heirlooms, and are handed down generations after generation, becoming sought after prizes for collectors. We have also made custom orders using other woods, such as mahogany, so let us know if you are looking for something different! It's always a great time at the beach with amazing sand sculptures! 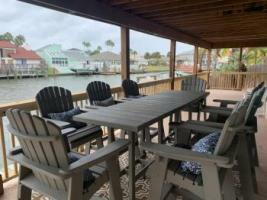 Now is the time to start thinking about getting your patio ready to go by spring! Benches, picnic tables, swings and chairs! 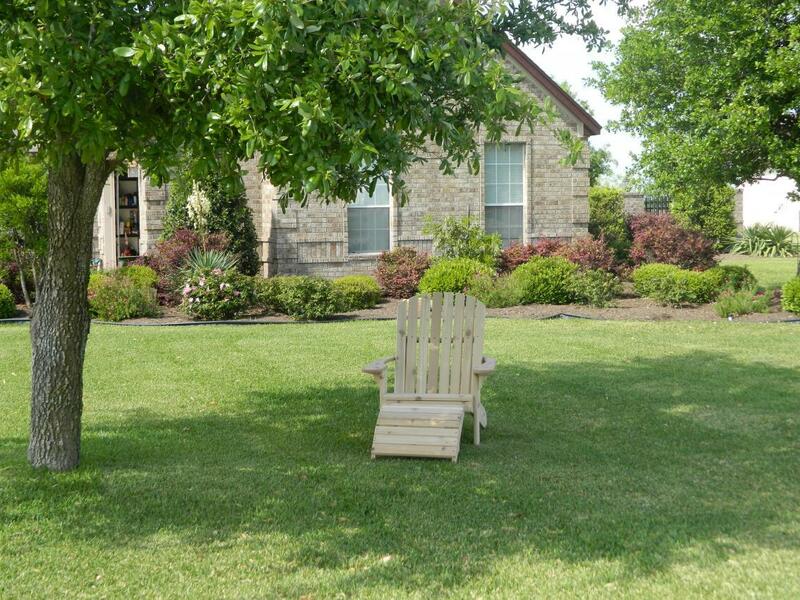 We'll help make the most out of your outdoor oasis! 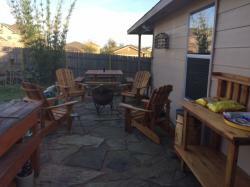 You can create a one-of-a-kind piece of furniture perfect for your back patio! 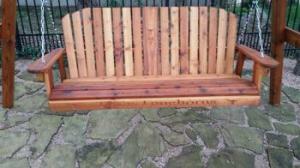 try a 'wedding bench' to sign! 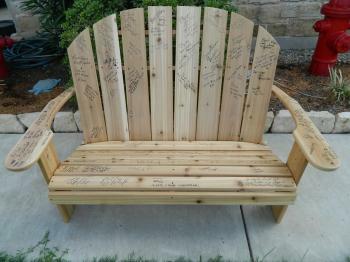 A cedar loveseat with a clear sealer is perfect for your guests to write their message to you. Afterwards, it become a piece of furniture to cherish and remind you of that special day!